The situation at the London Institute has never been more precarious. With Mortmain and his clockwork army still threatening, the Council wants to strip Charlotte of her power and hand the running of the Enclave over to the unscrupulous and power-hungry Benedict Lightwood. In the hope of saving Charlotte and the Institute, Tessa sets out to unravel the secrets of Mortmain's past. Tessa, already caught between the affections of Will and Jem, finds herself with another choice to make when she learns how the Shadowhunters helped make her a 'monster'. Will she turn from them to her brother, Nate, who has been begging her to join him at Mortmain's side? Where will her loyalties lie? 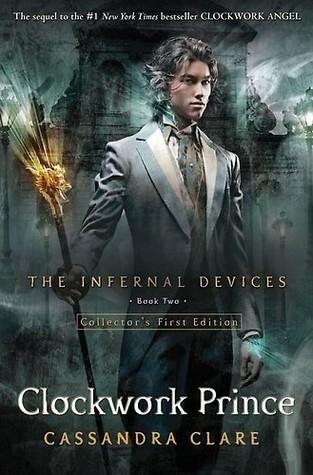 Tessa alone can choose to save the Shadowhunters of London – or end them forever.